Having broken 2 slot drills and 1 end mill last weekend whilst milling the cooling fins into the cylinder head of my new engine I went online in search of some new bits. 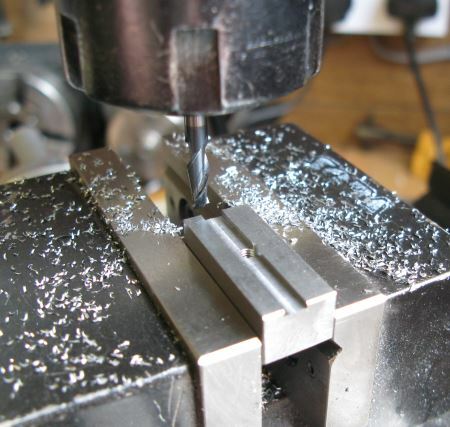 One of the ones I broke was the TiN coated end mill I have previously reviewed on this blog – I think the issue was my gorilla style input on the leadscrew rather than a weakness in the end mill. 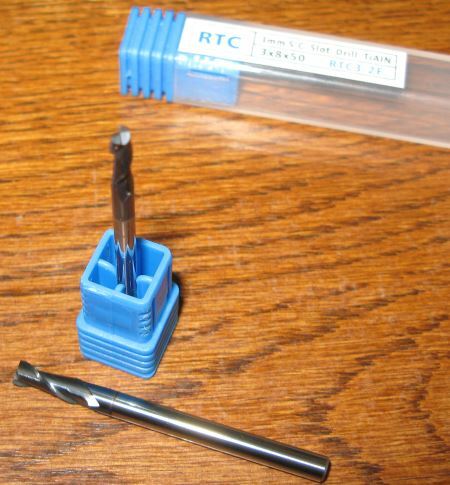 I came across Rennie Tools on ebay who have a really good selection of solid carbide slot drills and end mills. Within 3 days I received 2 off 3mm slot drills and 1 off 4mm slot drill. Costs were £4.49 and £4.89 for each size respectively. A great fast service. These are TiAlN coated and have really sharp side flutes. I will try them this weekend and add to the report. This next image shows the 4mm slot drill being used to machine an offcut of mild steel. This was running close to maximum speed for the mill at around 2500rpm. The first cut was 0.3mm and this was very clean and with no effort. The second cut was at 0.7mm depth and again this was very easy, I used a slow manual feed and the cutter went through the mild steel like butter. The final finish. This was an offcut of mild steel and I literally just clamped it in the machine vice roughly horizontal and tried it. The finish in the slot is superb and the top corner was very clean and crisp. 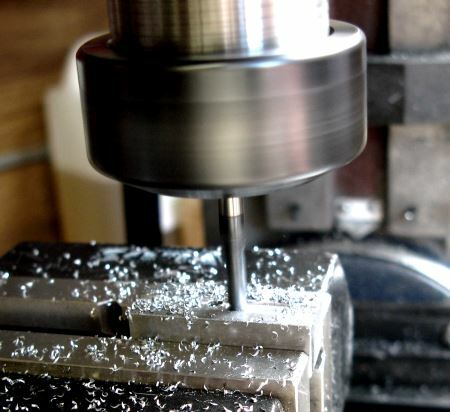 These are great cutters and this machining was done without any cutting fluid. With a small amount of the normal cutting fluid that I use, applied with a brush, these cutters will give me some superb results and look like they will last as well. 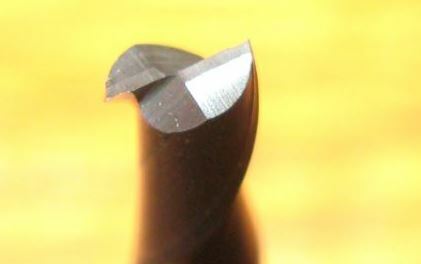 I inspected the slot drill before and after use and the cutting edges were clean and very sharp. A good price for solid carbide slot drills with a TiAlN coating that should give them a great life. They cut through a piece of mild steel like it was butter and left a clean finish. I think I will be back at Rennie Tools to order some of the larger slot drills and a selection of end mills.